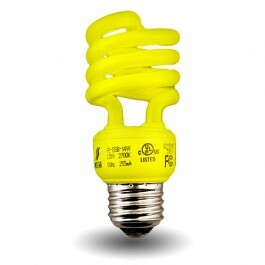 Top Quality, replaces major brand energy saving mini Spiral fluorescent retrofit bulb (CFL). Bulb is a YELLOW in color Same output as a 60watt incandescent. 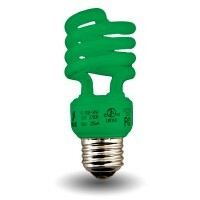 Use anywhere where a long life bulb is required. 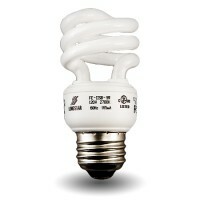 Great as a bug light, landscape accent or anywhere where colored light bulbs are required. Special Flourescent for decorative applcations, Yellow CFL may be used for a Bug Light.